The property is a 103,238 sq.ft. manufacturing and distribution facility located on 10.98 acres. The first floor is 62,171 sq.ft. with an additional 41,067 sq.ft. on the second floor. The building has eight loading docks, ample office space, 3 Phase 480 volts power, a large break room and restrooms. It can easily accommodate a variety of uses including but not limited to call center, R&D, manufacturing, storage and warehouse/distribution. 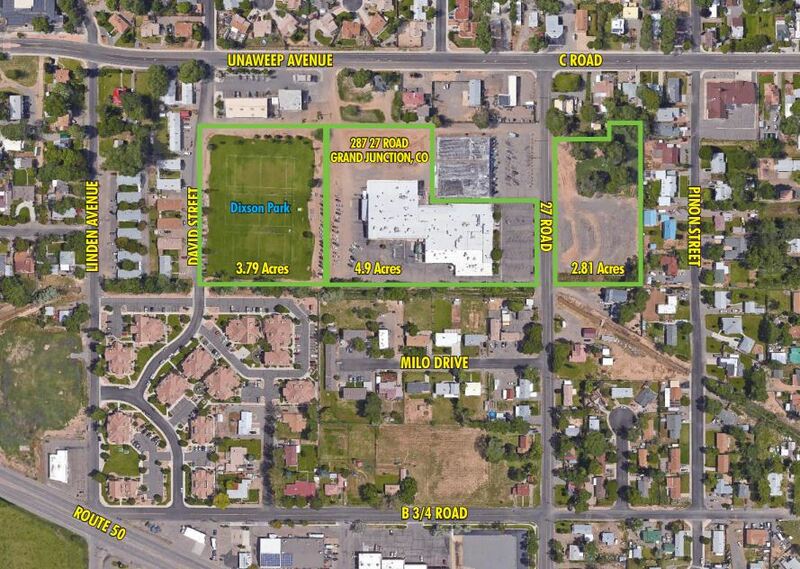 The property is located on the south side of Grand Junction, just a few blocks from US Highway 50 that connects to I-70. The mixed use location is easily accessible from a lighted intersection. DOWNLOAD THE PDF FOR MORE PHOTOS AND DETAILED INFORMATION.